By: Erik Hyrkas on July 12, 2012. There’s some exciting smartphone news today. 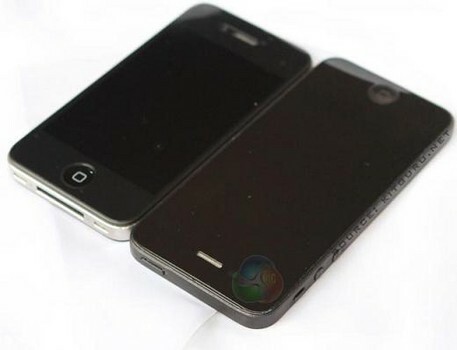 Some leaked photos of Apple‘s 2012 iPhone 5prototype (presumably) has risen thanks to KitGuru.The “pre-release test sample,” as KitGuru calls it, appears to be a taller smartphone than previous iPhone iterations, likely resembling the 4″ screen of HTC’s Droid Incredible models. In the images, an iPhone 4S is paired side by side the new model. Note, the thickness is about the same, and the home button is still there. Other images also show the same locking mechanism, volume rocker, and rear camera. Last updated by Erik Hyrkas at August 28, 2012 .